Cheese Tarts? Nah...it's THE BAUM. Not my bum or your bum. It's Cheese in the Baum. Think cheese baked in a Baumkuchen. 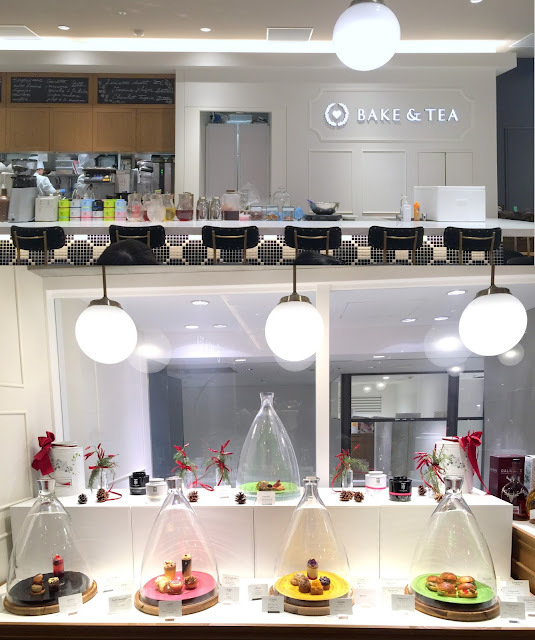 This innovative sweet was created by a company in Yokohama and now retailed at The BAUM cafes in outlet malls found in Okayama, Fukuoka and Sendai. None in Tokyo or overseas....yet. It wouldn't be Christmas without chocolates and cakes. This year, Antoinette has launched a series of delicious treats that are bound to be feast for the eyes and tastebuds. My favourite and my most recommended item is none other than the Red Rosette ($150), a gorgeous red chocolate tree that adorned with dark chocolate chantily swirls in red chocolate dust. The textural game is strong here with crunchy almond Nougatine against the dark, potent chocolate ganache and orange confit. Truly a decadent chocolate centerpiece not to be missed even for those who don't fancy chocolate-orange combination as the citrus notes here are very subtle. Everyone has an alter ego hidden inside ourselves. That alternate face that's always deviating from the norm, gravitating towards the sinful, unhealthy actions. Imagine having healthy poke bowls with sinful fries drenched in cheese. That's what you can find at AlterEgo, an edgy underground space at Esplanade where you can "unleash your alterego". While most people usually head to Shijou district for Nishiki market, I prefer to wander and get myself lost in the back alleys outside the market. There are plenty of hidden gems such as new-age designer boutiques, bakeries, cafes and even artisanal craft shops that are waiting to be discovered. 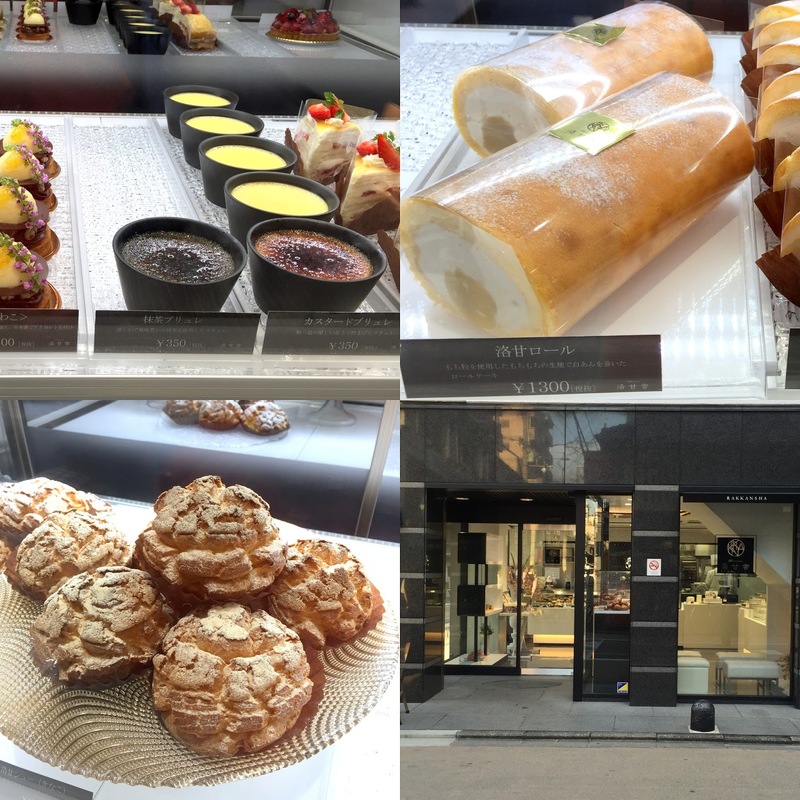 As I was exploring the area by foot, I chanced upon a few patisseries that were not on my list or even featured anywhere before. One of them is Rakkansha, a young patisserie that opened in Aug 2015 and sells western cakes with a Japanese twist. Hashidaya's oyakodon has been on my list for the longest while. 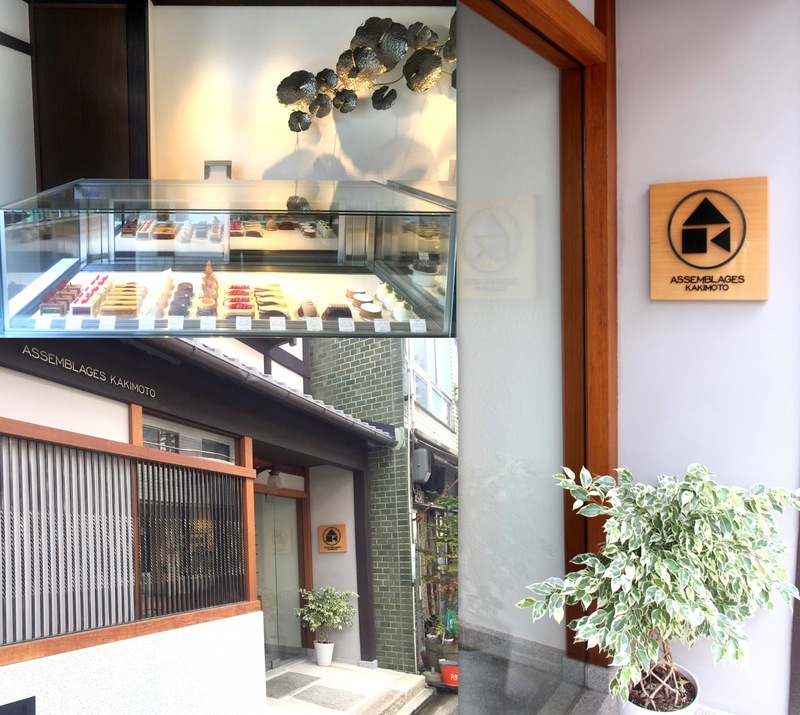 As one of the famous names in town when it comes to yakitori and Oyakodon, Hashidaya has three outlets (Nakameguro, Roppongi and Sapporo) besides its main shop in Shibuya. Its Oyakodon is available during lunch and dinner but it would only make logical sense to visit during lunch simply because you pay less than half the price for the same dish minus the appetizers. It isn't any veritable shrine like Tamahide where people queue up way in advance to pay their pilgrimage. Nonetheless, the place still oozes old-school elegance, feeding the hungry working crowd in the vicinity with hearty meals. The chicken belongs to the Asabiki local breed from Chiba prefecture while the eggs are sourced from Iwai City, Ibaraki prefecture. Asabiki 朝引き refers to the chickens that are slaughtered in the morning of the day when the meat is consumed. In other words, its commonly used to emphasize fresh quality. For 850 yen, the bowl came with generous chunks of tender chicken, draped in a just-set egg with a golden orange egg yolk atop steaming white rice. The egg wasn't too sweet and there's not much fault to pick in this bowl except that it tasted quite under-seasoned for an average donburi. But with the three types of shichimi (especially black one) sitting at the side, we gobbled up the rice in no time. As good as the Oyakodon may be, it's the formidable "Nanban chicken" (800 yen) that stole the show. This is so special because the chicken was deep-fried in a very light and crispy egg batter which permeated the meat with egg fragrance. Smothered in creamy yet chunky egg mayonaise, this simple dish is a triumph--and I was tempted to ask for seconds of that mayo. Lunch menu is only limited to 3 choices so do come at night for the ala carte menu if you are looking to feast. But with decent food at highly affordable prices, I can see why Hashidaya's tori-ryori has been doing a roaring trade. I didn't plan to have so many French Toasts during my recent trip but I guessed these experiences help me identify the good from the mediocre ones. And I found my favourite here. Located within an approximate 15-min walk from Shibuya station, Grain Bread & Brew is a young café that has opened barely for a few months since July this year. The open kitchen is just next to the coffee making area and you get to see everything freshly prepared upon order. The café is run by a small team but the food and service are no less humble than a full-fledged restaurant. I first noticed this potentially good spot when I saw the egg sandwich featured in social media. In fact, the concept revolves around delicious sandwiches around the world. Think burgers, ciabattas or pitas with a Japanese influence to it. Unlike most tamago sandwiches that are prepared with mayo, the "Omukatsu Sando with Horseradish Sauce" (¥918) embarked on a manly approach by smothering a brown Demi-glacé sauce on lightly toasted shokupan before sandwiching with scrambled eggs in the form of tamagoyaki. Imagine pork katsu and omelette compressed into one but without the deep-fried calories. The robust sauce set this apart from the ordinary sandwich and the ratio of eggs to bread was perfect. But the real star here is the Creme Brulee French Toast. For just ¥850, you get a beautiful golden pud with a dark, Caramelized glaze that is still settling down from the blast of the kitchen torch. It's crispy and bittersweet on top, super custardy and creamy in the center, capped of with the amber kiss of honey. There's barely any bread besides the thin layer at the base so it won't be burdensome on the belly. The toast itself wasn't sweet at all but you could still derive sugar satisfaction from the nuts-coated vanilla ice cream and sautéed apples. So uproariously good that this dish alone is worth seeking out and should be on the hall of fame for Best French Toasts in Tokyo. In fact, it was the Matcha French Toast which made me return for the Creme Brulee French Toast. It might lack a crispy exterior but the intensely deep matcha flavour snuggled in the rich-of-the-moment toast made up for everything. You wonder why they went the extra mile to serve it with red beans, candied nuts and ice cream. But this is what made it so special from the run-on-the-mill cafes. Washed it down with a matcha latte and you will keep smiling for the rest of the day. On the menu with scrumptious bites like a karaage chicken mayo burger and a monster bacon ciabatta sandwich. If you are a cafe-hopper who believes in quality food, it'll be a shame to miss this from your list.